Summary: Where does all that yummy food at the farmers’ market come from? 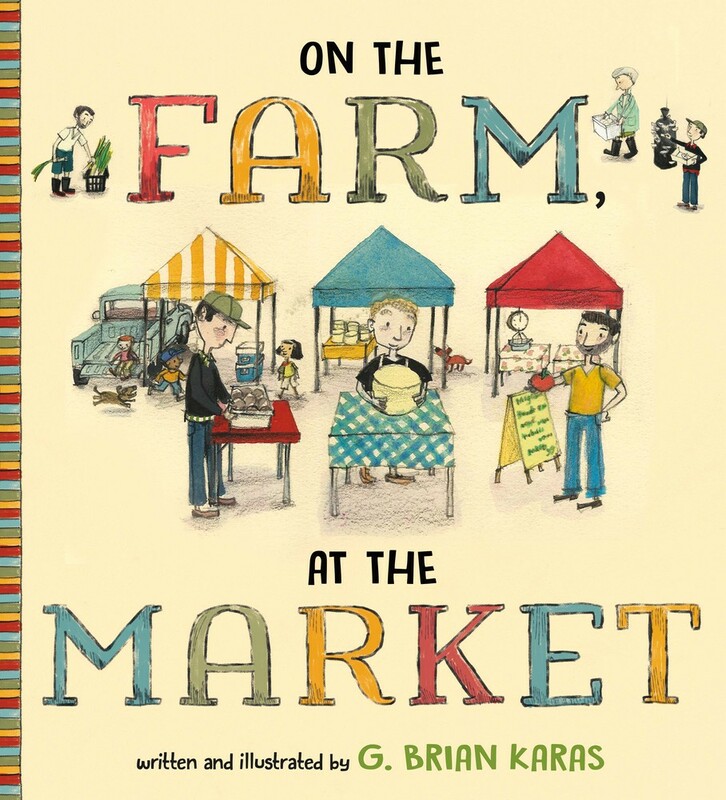 This book goes behind the scenes to a farm, a dairy, and a mushroom grower to see what happens the night before market day. Everyone is busy into the night, harvesting, cooking, and packing. Early in the morning, the food is transported and unpacked, and then the fun begins. Chef Amy from the Busy Bee Cafe makes her usual rounds, selecting fresh food for the evening’s special. At the end of the day, all of the farmers and their helpers head over to the cafe to relax and enjoy the fruits (and veggies) of their labors. 40 pages; grades K-3. 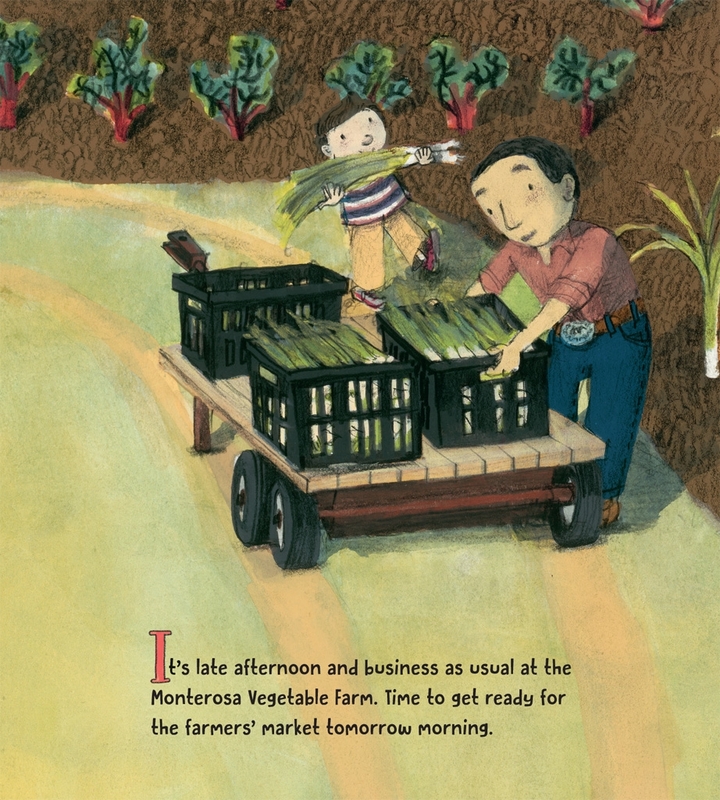 Pros: Kids who have never gone to a farmers’ market will want to check one out after reading this book; those who are regulars will want to thank the farmers for their hard work creating all that delicious food. Cons: The Amazing Cheese Dairy Farm seems to be flirting with some child labor law violations.